We handle all the technical aspects as well as the aesthetics part of web development seamlessly as our proficient team at VRS Technologies has been successful in delivering the web development projects ever since our inception. So, what is web development and how is web designing different from web development? Web development deals with the technical aspects of hosting the website. On the other hand, web designing handles the aesthetics part of the websites. These two are the two wheels of the cart, which are equally essential to set the cart moving. As for the web designing, it is unleashing the creative side of the web designer. The web designing on the whole again involves content management services (CMS) as well, where the content is search engine optimized for better search engine rankings. Why choose VRS Technologies for Web Development services in Dubai? As we understand that web development and web designing go hand in hand for a successful website launch, we render equal importance to make the website technically sound and aesthetically pleasing. We handle the technical aspects by deploying various plugins to customize it as per client requirements, at the same time aim to achieve the well-rounded, beautifully crafted, comprehensive website that enlists all the services and product information offered in your business. 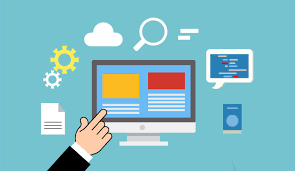 At VRS Technologies, the web developers, web designers, the SEO, and the content management teams display a good coordination to deliver the best possible, comprehensive, end to end, web development services package to keep you hassle free as far as your website launch is concerned. Based on your inputs, we host, design, implement, and code for an error-free website launch which best represents your core values, strengths, and standards.